For those seeking beautiful, natural products to gently cleanse and nourish their skin - introducing, Rosenthal®. For Skin and Senses to adore - the Rosenthal® Skincare range is batch, hand-blended & 'made to demand; using only luxurious base & stunning essential oils. 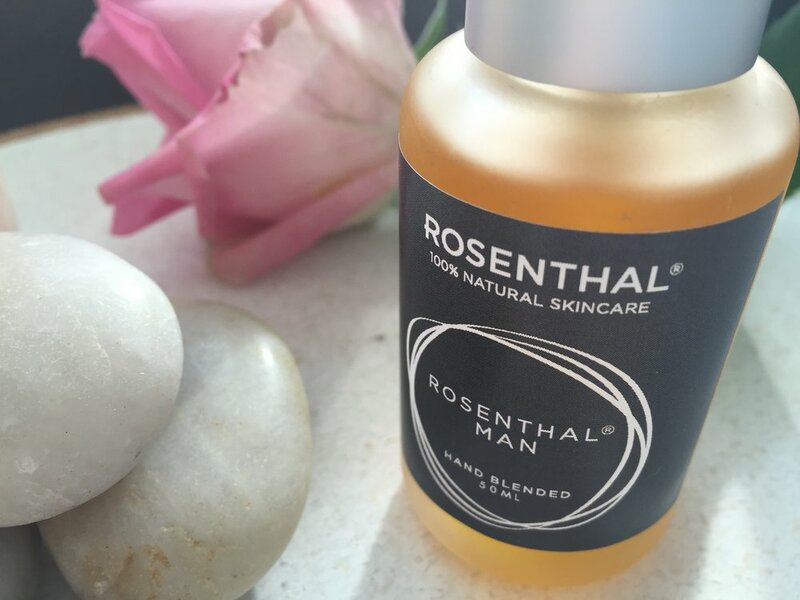 The all-natural skincare range by Rosenthal® is created drawing on over 25years of knowledge of working with and using gorgeous essential oils; and with an overarching focus on holistic health. Developed over a number of years, these beautiful products are now available for you to enjoy. With two gorgeous-to-use cleaners, a nourishing & rejuvenating Serum and Beard & Face Oil for the Guys - the Signature Rosenthal® Skincare range is both luxurious and gentle to use daily. Each bottle is batch, hand-blended; and every ingredient has been carefully chosen. Created using all natural ingredients this means there is no preservative used, no chemicals, and no artificial fragrance - and as a result they are at their most restorative and potent when used within six months of being opened. The base and essential oils used have been sourced locally where possible ( like the absolutely stunning Lavender Essential Oil used across many of the blends, sourced from Christchurch, NZ) but there are a number that are sourced from more international & exotic locations. Wherever they hail from; the base oils and essential oils used, are of the highest and most pure quality. All Rosenthal® skincare is blended-to-demand, with each of the full-size bottles detailed with the blending/bottling date. Limited Edition Blends are released throughout the year in limited quantities, and Bespoke Blends are available on request. It's important to note, that some essential oils are safe to use during pregnancy, but it's recommended not to use topically in the first trimester. For this reason, and to err on the side of caution ( or if you have sensitivity concerns) blends are available without essential oils on request. Available online via Etsy ( link through button below) or from Rosenthal® Skincare at 87 Jervois Road, Herne Bay. TRAVEL | SAMPLE Size (10ml) : available in all products as above. This size is ideal to take away for a long weekend / holiday and/or to trial as part of your skincare regime. The 10ml size - on average, if used twice daily - can last between 4-6weeks. $15 for one, any two for $28, any three for $40 or any four for $55 (i.e. any combination of products you choose or one of each product). All prices quoted are in NZ$ | Exclusive of Shipping. Postage/Courier costs to be confirmed based on receivers preference at the time of ordering. Currently for orders within NZ only, please contact for additional sending locations.